You’ve finished your project, you’ve hit the print button, you’ve got that important piece of paper in your hand. Or have you? How many times have you clicked print only to have to wait… and wait… and wait for your printer to actually do anything? We’ve been there. We know what it’s like. 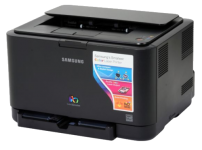 And we know that it’s probably due to low memory, which means it’s an easy thing to fix when you use Offtek’s Samsung printer memory upgrades. Our printer memory upgrades mean that a finished project is a printed project, with no delays, no waiting, and no frustration. Perfect.